Back in October when I did the 31-day challenge I met a lot of new people and made a lot of new friends. After the challenge a survivors Facebook group was formed and we have stayed in touch almost on a daily basis. It would be an understatement to say it’s been a blessing. These women have become true and real friends. One of the survivors suffered an apartment fire over the winter and she and her family lost everything – thank the Lord they had renters insurance; however, the day-to-day hardship was lessened by this community reaching out with gift cards and a whole load of prayer. It was faith-building to watch strangers over the Internet forge together and reach out with hands of love. One of the women I’ve connected with is Elaine Mingus, writer. She is launching her new book, Without Regret, a novel, THIS week. I had the pleasure of reviewing the complete work before final edits and I must say I thoroughly enjoyed it. Cora, Carmen, and Kate are as different as night and day. Cora, an almost professional singer whose career is put on hold by marriage and a couple of kids. Carmen, a happily married pro hockey player wife whose world explodes when her young, vibrant husband drops dead. And, Kate, missionary wanna-be who has given up on all her dreams. In a series of fortunate events, after a 14-year separation, their paths meet again and story begins! This novel leaves you laughing, crying, and believing that all things are possible when you put your trust in a great big God. If you like good, clean fiction I recommend this one – get it in softcover or as a Kindle download and get it before summer sets in. This is the kind of book you’ll want to read on a warm afternoon with a glass of lemonade and a fat, plump pillow in your hammock or favorite porch swing. 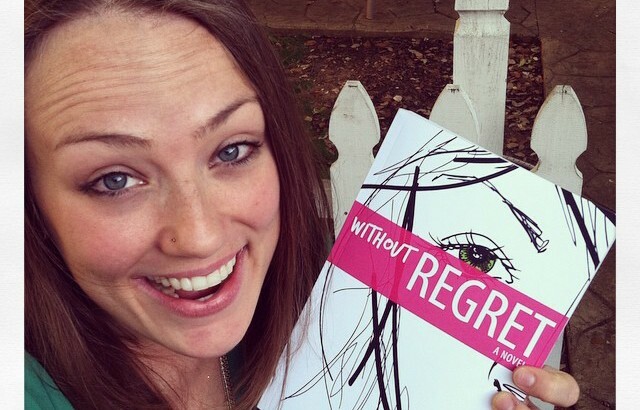 Without Regret sounds like a book worth reading – thanks for sharing! How cool that the 31 Day Challenge led to a whole new group of friends doing life together. It just doesn’t get better that that … it’s blogging at its finest, isn’t it? Linda, it truly is that! You are a blessing. I too have gotten so many amazing relationships through #write31days! This sounds wonderful, Elaine! Taking a moment to lift you up and ask the Lord to bless every word, every heart, every step, as you launch your book! And Susan, you have been much of the glue that God has used to bond our group together. Sincerely! I love your kind words, Wendy. I so agree about the friendships I’ve made too. I never knew social media etc could be such a blessing. I’ll have to add Elaine’s book to my ever growing list of books to read! Tara, YOU are one of those!!! Ooooh this sounds so good! I love hearing about new books and I am SO OVERDUE for a novel! It’s worthy of reading, K.
This is a great review! Sharing.